World Class Track Meet is a Nintendo video game designed by Bandai and was released in 1988 for use with the Power Pad feature of the Nintendo Entertainment System. 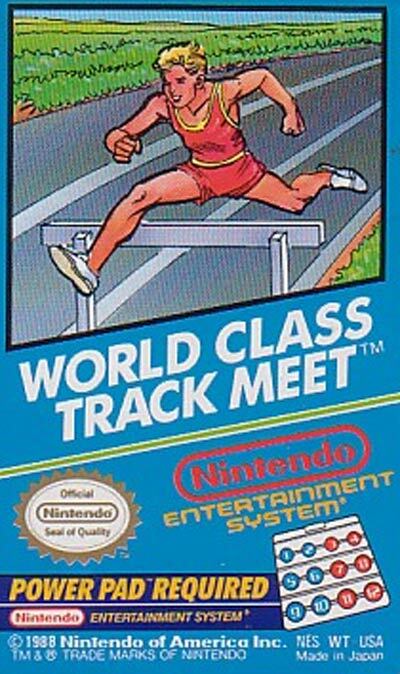 World Class Track Meet was sold alone or as part of a single cartridge also containing Super Mario Bros. and Duck Hunt. It featured an Olympics-style competition, with events such as sprints, the long jump, and the triple jump. Opponents were named after animals, the slowest being Turtle and the fastest being Cheetah.